➔Continue reading "Update Changelog 2018-Jun-13"
➔Continue reading "Update Changelog 2018-Jun-06"
May ends with another weekly update. You can play a new mission on Bordeaux station, several improvements and fixes have been integrated. Among others, missing a shuttle won’t make you leave your hotel room anymore and a display bug in the inventory has been fixed for screen readers. The monthly status report will be published on Friday, sharing the plans for June! Read on to see all details of today’s content update. 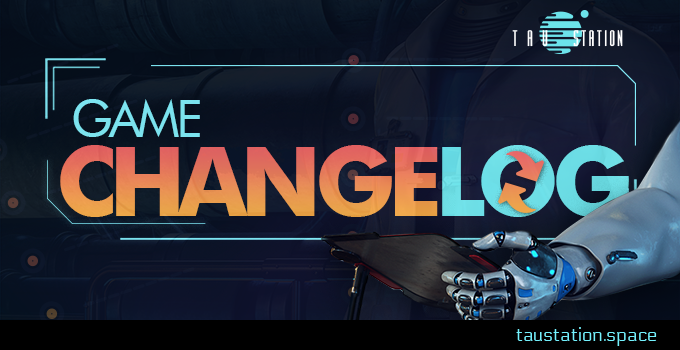 ➔Continue reading "Update Changelog 2018-May-30"
Last week a major content update was implemented. This week, several detail improvements and fixes made it to the game. Several countdowns have been updated, but also combat and the team read your reports and vaporized a couple of text glitches. ➔Continue reading "Update Changelog 2018-May-23"
Today’s game update comes with the usual information on new aspects, improvements and fixes but we also promised you that you could have private ships soon. 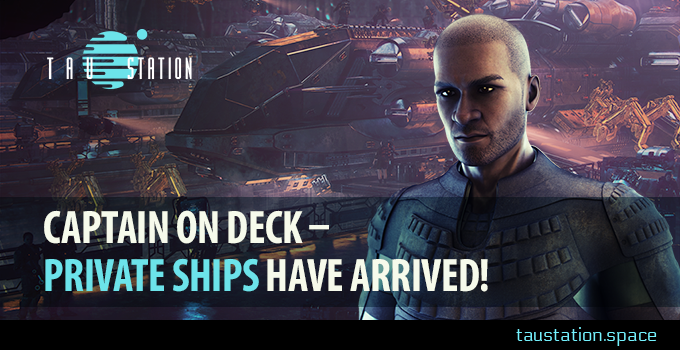 Now that time has come: new Captains, time to board your ships! 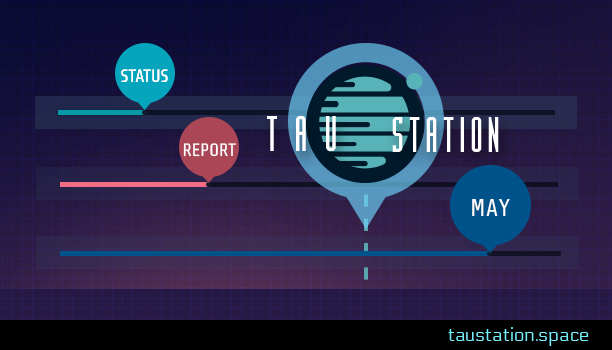 ➔Continue reading "Update Changelog 2018-May-16"
Welcome to another content update for Tau Station, introducing a new mission and various improvements and fixes, such as a few stats display corrections. The implementation of private ships is very close and the narrative team has been working on more exciting missions for you. Read on to see all details about today’s game update. ➔Continue reading "Update Changelog 2018-May-09"
May starts with a big content update. Following the request of many citizens, all stats now have a timer that indicates the duration until the according value is at 100% again. The team was able to handle a lot of detailed reports regarding missions and texts as well. Thanks a lot everyone! Additionally, “My items for sale” at the Public Market now shows the quantity of a stackable item listed; another request from our community. Read on to see all details about this week’s update. ➔Continue reading "Update Changelog 2018-May-02"
This week’s update brings back two missions, the first parts of Spaceship Operations have been unlocked at Universities, you can activate optional desktop notifications for chat mentions and more. Read on to learn all details about the latest content update…in parallel, a major feature is in development for you. ➔Continue reading "Update Changelog 2018-Apr-25"